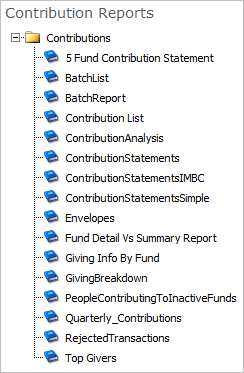 Prebuilt reports enable you to run reports such as, printed Contributions Statements and Batch Reports. Reports are available via Arena Hub. Below are the available Hub reports. Refer to your Arena Administrator for additional information.